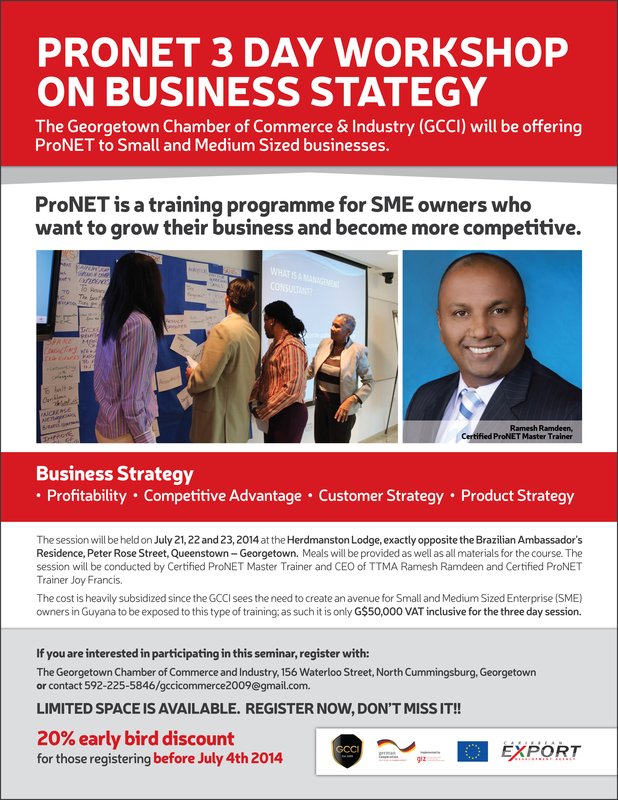 The Georgetown Chamber of Commerce and Industry in collaboration with ProNET will be offering a training programme for owners and managers of Small and Medium-sized Enterprises (SMEs) who want to grow their businesses and become more competitive. The first training session will be on Business Strategy comprising of Profitability, Competitive Advantage, Customer Strategy and, Product Strategy. Read flyer for more details!